With rare exception (see my comments on niche markets at the end of this article) the Long Tail primarily benefits platform holders and the creators of hit content, not the broader creative community. Of course, I’m talking about financial benefit here; one could easily argue that the social benefits of digital distribution touch a far greater number of creators and consumers, and the social benefits are what make digital distribution truly wonderful. But that’s a story for another blog post. As many prominent journalists, analysts and scholars have recently argued, it turns out that hits are no less important in the new Long Tail world. Lee Gomes noted in the Wall Street Journal that in 2006, Amazon.com still derived 75% of its book sales from just 2.7% of its titles. True, 2.7% of 3.7 million books is nearly 100 thousand books — a great deal more than the total offered by any brick and mortar store — but that doesn’t change the financial situation for the authors of the other 3.6 million! 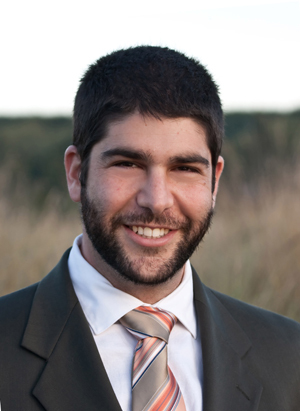 Gomes also noted that, wherever he looked, hits remained vitally important to a given ecosystem (or in his words, “iTunes looks like Billboard, not some paradise of niches.”) And research by Anita Elberse, a professor at Harvard Business School, has shown that in some “Long Tail markets,” success has begun to concentrate in progressively fewer best-selling titles, and worse, that independent artists have actually lost share to major labels. And via Raph, another recent research study with similar findings: of the 13m songs for sale online last year, 10m never found a single buyer, and 80% of all revenue was generated by less than half of one percent (.004) of all songs. The phenomenon studied by Gomes and Elberse appear to be repeating themselves in digital game ecosystems. While few verifiable public sources of information exist for the sales of iPhone, Steam, Wiiware, PSN, or Xbox LIVE Arcade games, it is widely believed that all of these ecosystems have become more competitive and more hit-driven over time. Where once any game had a reasonably good chance of reaching a sizeable audience, thousand of games (most especially on the iPhone) now go entirely unnoticed. This was the inevitable and unsurprising result of the initial supply/demand imbalance that characterized each of these digital ecosystems upon their births. Millions of consumers, eager to download content on their exciting new game consoles or phones, poured through initially-limited game catalogues and purchased everything in sight. Dramatic sales were trumpeted by indies, by the press, and by the platform holders themselves, spurring huge increases in content supply which inevitably pulled each ecosystem back towards the more familiar hit-driven model. However, these ecosystems also display (to varying extents) the hallmarks of the Long Tail; some hit and niche titles continue to generate a significant amount of revenue despite having been launched two to three years ago. That’s an extremely rare feat in the land of retail games! At Casual Connect, Kongregate provided some of the best evidence I’ve heard to date supporting my assertions on this front. Kongregate hosts 16,000 Flash games, and approximately 1,000 more are added monthly. The top 1% of games on Kongregate account for a whopping 50% of total user playtime. I guarantee you that the console ecosytem — long derided for its hit-driven nature — does not look quite that top-heavy. I’ll say it again: in digital, the hits get bigger! Is this the platform holders’ faults? No, it isn’t. You can certainly blame the platform holders for not doing everything they can to maximize the benefits of the Long Tail. Take, for example, the fact that until recently you couldn’t rate content on Wiiware, PSN, or Xbox LIVE (and you still can’t for Wiiware or PSN.) Or how about the fact that on all digital platforms, including the iPhone, you still can’t filter the title catalogue by the subset of games that your friends have rated highly? And why is it that none of these ecosystems currently possess a recommendation engine of the sort that has proven so useful and wildly successful for Amazon.com? The consequence of these missing features, unsurprisingly, is an increasing tendency for consumers to steer towards titles they recognize, which means games based on well-known IP and/or games that have received substantial promotion by the press and user communities. For example, most of the recent, publicly-heralded hits on Xbox LIVE Arcade, such as Battlefield 1943, Braid, Castle Crashers, and Street Fighter 2 HD Remix, are all games that were either promoted years in advance of their public release, or were (like Street Fighter and Battlefield) based on truly venerable IP. But again, it would be unfair to blame the platform holders for the ultimate evolution of their digital ecosystems into hit-driven businesses. As noted earlier, even Amazon.com, with all its supremely-refined tools and merchandizing mechanisms, has not managed to avoid the realities of a hit-driven business. More importantly, research has indicated that — given fundamental characteristics of human decision-making and interaction — it simply may not be possible to avoid hit-driven market dynamics in a digital ecosystem. Professors Duncan Watts, Matthew Salganikand and Peter Dodds recently demonstrated that, in a digital music ecosystem devoid of traditional marketing signals and recognizable IP (but possessing a public rating system), not only did “the hits get bigger,” but popularity was essentially random. A song’s popularity depended entirely on the first few users who happened to notice, rate and download it; a song that was #1 within one test ecosystem was bottom of the barrel in another. So how does one profit in the digital world? Do not forget the importance of marketing, PR, and community management! In the cluttered digital world, finding a way to somehow grab people’s attention is more crucial than ever before. How many indies grow to 20, 40, even 60 people before bothering to hire a marketing/PR person, or a community manager? Far too many. What good is a great game if nobody knows about it? And remember what I said earlier: it’s no coincidence that most of the recently-successful original IPs launched on XBLA are games that had years of buzz and/or big fan communities going for them. Identify and target lucrative, reachable niche audiences. The “lucrative/reachable” part is key. Facebook is a large and open enough platform to potentially support the development of games that appeal to a very small percentage of the online population (assuming that group has a high willingness to spend, and assuming you make real effort to reach them via targetted marketing activities.) XBLA, PSN, and Wiiware, on the other hand, are currently far too small to support games that appeal to anything less than a significant percentage of the total ecosystem population. And in general, simply hoping that “the magic of the Long Tail” will cause a niche to spontaneously form around your products is a very bad plan. Get creative with revenue-generating strategies. Danc has written an excellent article on this subject (in the context of making Flash games more profitable.) Worth a read. OK, time to take a breather. More on this subject soon! Your statistics do not make sense as evidence of your hypothesis. For example: “The top 1% of games on Kongregate account for a whopping 50% of total user playtime.” Suppose in the old retail model there were 1000 games released and 10 of these accounted for 50% of the playing time. Then 1% of games accounted for 50% of playing time. Now suppose because of digital distribution 100 000 games were released and 100 of these accounted for 50% of the playing time. Then we still have 1% of games accounting for 50% of playing time. However, the number of games that are “hits” (based on being in the top 1%) has increased by ten times! Hardly evidence that “the Long Tail primarily benefits platform holders and the creators of hit content”. Mathematician — that’s the same argument that Chris Anderson has been using to defend his position for years now. Unfortunately, it isn’t terribly satisfying. First, in the old retail model, 1% of games did NOT account for 50% of playtime — the ratio was/is much less skewed. The fact that there might be a greater total number of games in the top 1% still doesn’t make the creators of the other 99% of content feel any better about their lack of profit. 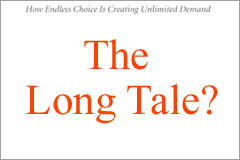 The Long Tail has long (pardon the pun) been misrepresented by many as a phenomenon that could be the ultimate panacea to the concerns of independent developers. It is not. Nor is the Long Tail proof that “The Future of Business Is Selling Less of More”… unless you’re a platform holder, that is. No critic of the Long Tail (as positioned by Chris Anderson) denies that it is fundamentally changing certain aspects of content delivery businesses, and we all understand that 1% of a large number is more than 1% of a small number. But there’s more to the debate than that. Great article. Hope to run into you at GDC this year.